The Ohio Sci-Fi and Horror Marathons • View topic - ROCKPOCALYPSE! Dusk to Dawn Mayhem at the Drexel!!! ROCKPOCALYPSE! Dusk to Dawn Mayhem at the Drexel!!! Post subject: ROCKPOCALYPSE! Dusk to Dawn Mayhem at the Drexel!!! 9pm, Saturday August 2nd 'til Dawn, Sunday August 3rd! At the Drexel Theater (2254 E. Main St., Columbus, Ohio)! $10 at the door, night of show only!!! It's an all-night extravaganza of excruciating agony as some of the worst rock movies ever committed to celluloid assault your eyes, your ears, your sense of what it means to rock! Do you have the guts to endure a night so unforgettably atrocious that you'll warn your children, and their children, to avoid these films like the plague? Can you sit through the unrelenting onslaught of the worst films on rock and the worst rock on film? Is there a soft spot in your heart for Freddie and the Dreamers? Rock festivals? Disco? Eighties hair bands? This may be just the corrective therapy that you need. Each feature will be preceded by a multitude of vintage trailers and shorts to properly contextualize each of these crimes against music and cinema. And it's all in GLORIOUS 35MM! The second year of the British Invasion brought a wave of bands from Manchester, England-England. Why was Morrissey so depressed? His hometown legacy of Wayne Fontana and the Mindbenders, Herman's Hermits and Freddie and the Dreamers topping the U.S. charts for five consecutive weeks in the spring of '65 may have had something to do with it. On the heels of a more leisurely success in Britain, Freddie and the Dreamers, featuring a hyperactive Jerry Lewis-like stage presence and the cartoonish goose-stepping Freddie dance which they tried to inflict on America, had two fevered months of chart success and frenetic TV appearances stateside. After a couple of earlier brief musical appearances and again as supporting cast in a teen comedy on Brit movie screens, they parlayed this new demand into their own desperate stab at Laurel and Hardy-esque comedic leading roles. Freddie and the lads star as a sadly inept boy scout troop in this would-be HARD DAY'S NIGHT-style comedy, minus the wit, charm, cinematic or musical talent. Though produced in 1965, it wouldn't be released in England until 1967, and then only as a barely mentioned second billing to the American adventure AFRICA: TEXAS STYLE. 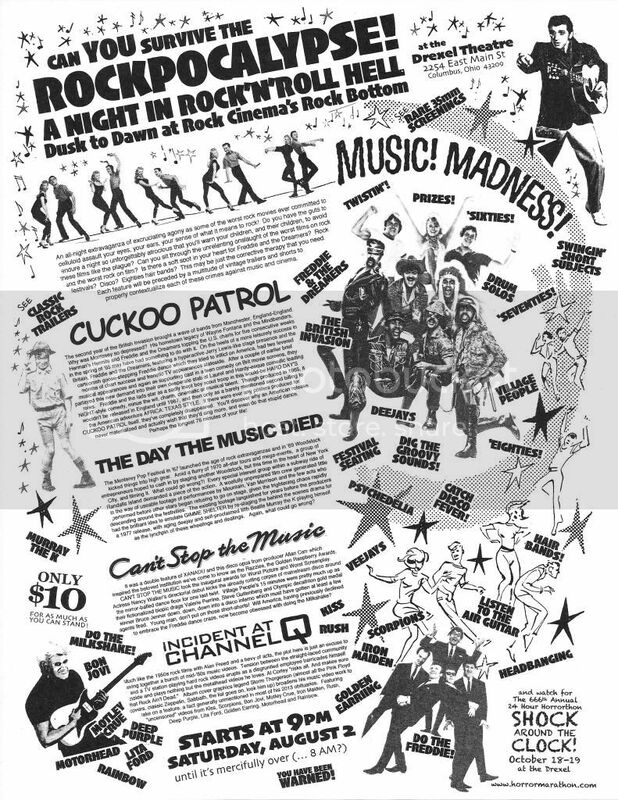 If there were ever any posters produced for CUCKOO PATROL itself, they've completely disappeared. You'll discover why an American release never materialized and actually wish that they'd sing more, and even do that stupid dance. Perhaps the longest 76 minutes of your life! The Monterey Pop Festival in '67 launched the age of rock extravaganzas and in '69 Woodstock kicked things into high gear. Amid a flurry of 1970 all-star tours and mega-events, a group of entrepreneurs hoped to cash in by staging another Woodstock, but this time in the heart of New York City, and filming it. What could go wrong?! Every special interest group within a subway ride of Randalls Island demanded a piece of the action. A woefully unprepared film crew generated little in the way of useable footage of performances by Mountain, Van Morrison and the few acts who performed before other stars began refusing to go on stage, given the frightening chaos rapidly descending around the festivities. The existing footage languished for years before the producers had the brilliant idea to emulate GIMME SHELTER by re-staging the behind the scenes drama for a 1977 release, with aging deejay and self-proclaimed fifth Beatle Murray the K playing himself as the lynchpin of these wheelings and dealings. Again, what could go wrong? It was a double feature of XANADU and this disco opus from producer Allan Carr which inspired the beloved institution we've come to know as the Razzies, the Golden Raspberry Awards. CAN'T STOP THE MUSIC took the inaugural awards for Worst Picture and Worst Screenplay. Actress Nancy Walker's directorial debut kicks the already rotting corpse of mainstream disco around the mirror-balled dance floor for one last twirl. Village People's 15 minutes were pretty much up as their fictionalized biopic drags Valerie Perrine, Steve Guttenberg and Olympic decathlon gold medal winner Bruce Jenner down, down, down into a disco inferno which must have gotten at least a few agents fired. Young man, don't put on those short-shorts! Will America, having previously declined to embrace the Freddie dance craze, now become obsessed with doing the Milkshake? Much like the 1950s rock films with Alan Freed and a bevy of acts, the plot here is just an excuse to string together a bunch of mid-'80s music videos. Tension between the straight-laced community and a station playing hard rock videos erupts as a disgruntled employee barricades himself inside and plays nothing but the metalhead videos he loves. Al Corley "risks all. And makes sure that Rock Ain't Dead." Album cover graphics legend Storm Thorgerson (almost all the Pink Floyd covers, classic Zeppelin, Sabbath, list list goes on, look him up) broadens his music video work to take on a feature, a fact generally unmentioned in most of his 2013 obituaries. Featuring "uncensored" videos from Kiss, Scorpions, Bon Jovi, Motley Crue, Iron Maiden, Rush, Deep Purple, Lita Ford, Golden Earring, Motorhead and Rainbow. Post subject: Re: ROCKPOCALYPSE! Dusk to Dawn Mayhem at the Drexel!!! 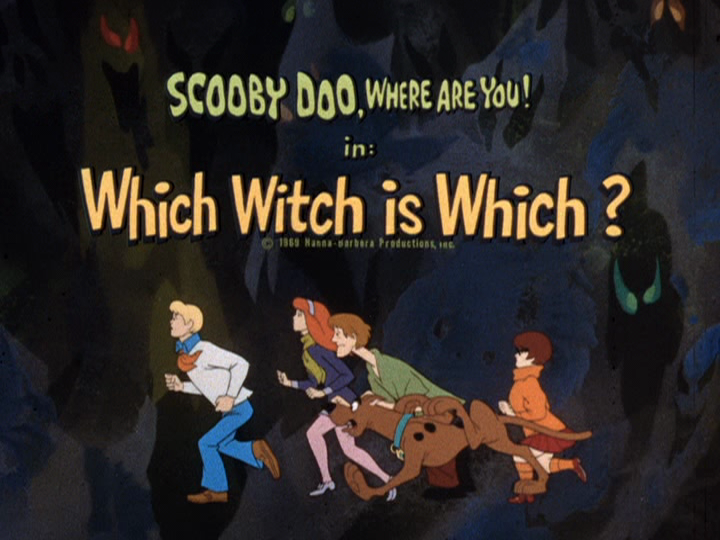 Witch of the films are DCP or 35mm? "If you have GHOSTS you have Everything" - Papa Emeritus II GHOST B.C. Be warned Can't Stop the Music is streaming on Netflix. Any chance to do a Fat Guy at the Movies podcast for the all nighter? To promote the mini marathon? Mr. Carr and I just finished the next episode on Wednesday. Just waiting for him to send me the link. Love the flier! Any chance of getting a copy mailed to me? Wish I could make it down to Columbus for ROCKPOCALYPSE, but alas. I'm glad that I just lived a couple of miles from the theater. Now if the All Nighter does well how about an all nighter of bad superheroes/comic books movies? X Men First Class is a far superior superhero movie than Superman III. Currently Superman III have a rating of 4.9 out of 10 stars at IMDB. Superman III currently at 26 percent at Rotten Tomatoes. X Men First Class current rating at IMDB.COM 7.8 out of 10 stars. Rotten Tomatoes current rating of First Class is 87 percent. Yes Superman III is a terrible film. X Men Origins Wolverine is slightly better than Superman III. Rotten Tomatoes current rating of X Men Origins Wolverine 38 percent. That's fine. But, I'd still rather watch SUPERMAN III than another origins flick. And, the movie actually got half-way decent reviews at the time, but, the fanboys later turned on it, so much of this is revisionist history. It was the 12th highest grossing film of it's year. It ain't great, but, there are some fun elements to it, and the opening sequence is some of the best slapstick on film in recent decades, and the Bad Superman duality sequence is of note. Regardless, it doesn't deserve a spot at a ComicBookPocalypse marathon.